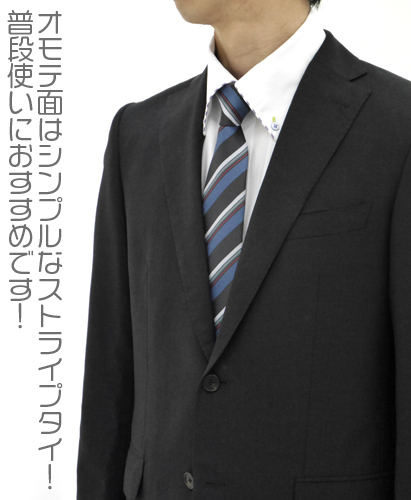 Being an otaku in the corporate world isn’t always easy, strict fashion guidelines prevent you from expressing the real you. Sure you can wear some anime printed underwear, but it’s not ..well how to say this….cheeky….it’s a bit cowardice like putting Coke in a Pepsi bottle during a Pepsi fan meeting. 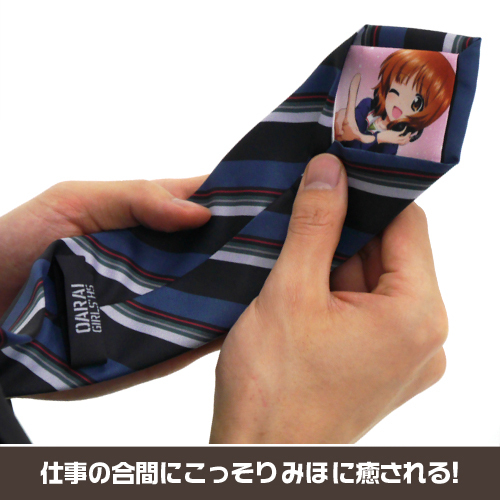 Now though, you can hide in plain sight, looking quite dashing in a conservative way, but still wearing your heart on your sleeve, with these Girls&Panzer neckties. 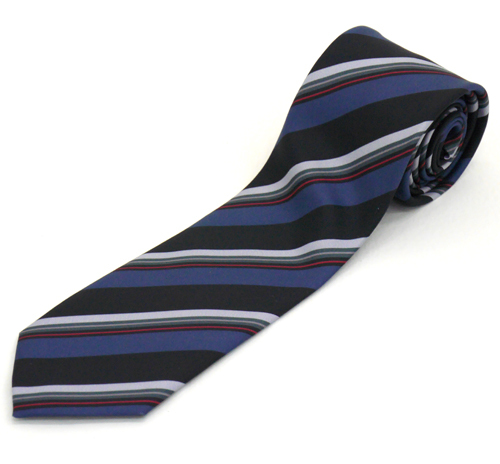 Worn beneath a suit they look like ordinary striped ties…. When you take off your jacket they still won’t reveal a thing..no worries you still look like a “serious” corporate worker. 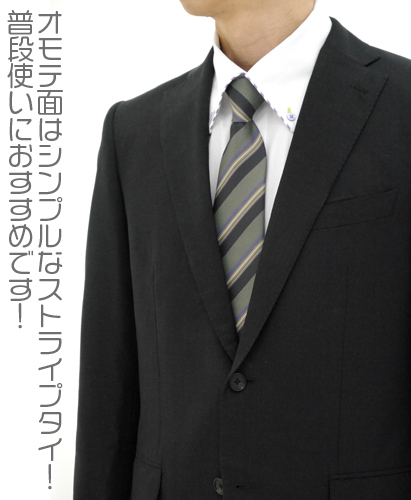 Then when you turn over your tie a smile spreads over your face…knowing that they can take the otaku out of the otaku world, but you can never take the otaku out of the otaku! They come in two colors, the one above with Nishisumu Miho in blue and Akiyama Yukasato in green. 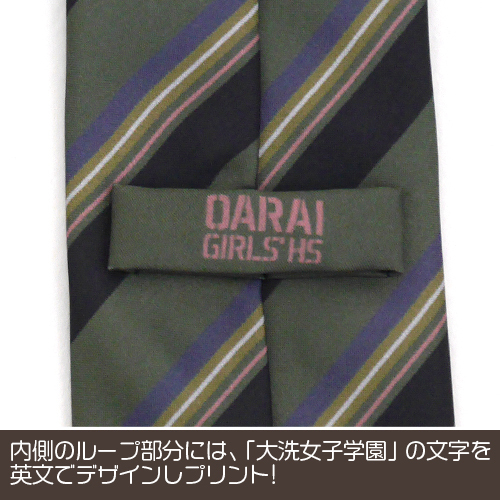 They are now up for pre-order(delivery in July) and the cheapest option (various sites are selling them) was the one we found here ¥ 4,860 at Gee!Store.